Welcome to Alaska Honey Bee, your source to buy Package bees for beekeeping in Alaska. I hope you enjoy your visit to “Alaska Honey Bee”, my name is Keith Malone. If you would like me to add something to the site or have me develop a new page that you think will benefit beekeepers please let me know. You can email me at klm@gci.net. 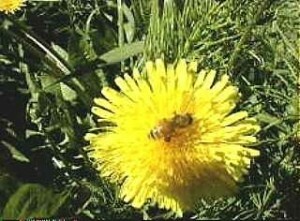 A dandy of a Flower for Honeybee’s in Alaska. If it were not for dandelions, which are not indigenous to Alaska, beekeepers would find building a colony of honey bee’s very difficult. 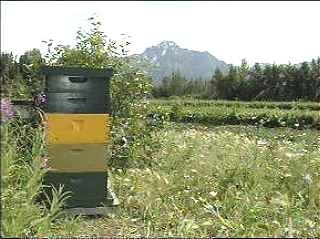 The best water white honey is produced from fireweed in Alaska. 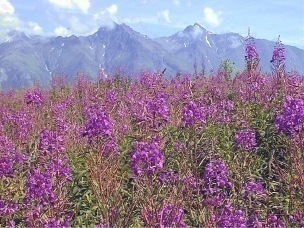 Normally the fireweed blossom is light purple as shown below. 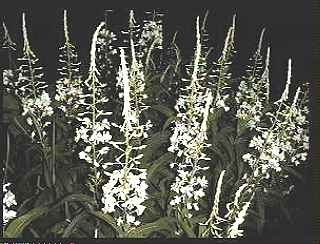 This fireweed can grow as tall as 9′ tall, and grows well here in Alaska. Residing on a small truck farm in the Matanuska Valley, this bee hive has the pleasure of a beautiful view of Pioneer Peak. Beekeeping in Alaska can sometimes be a breath taking experience. 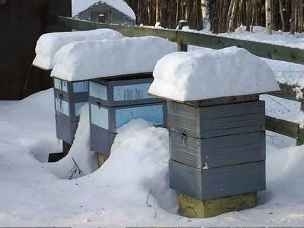 Some beekeepers use Styrofoam, like these three hives to wrap them for the winter here in Alaska. Others use home made plastic blankets or winterwraps bought through suppliers. A few beekeepers are using Styrofoam hives year round that they have bought through suppliers or built by themselves. 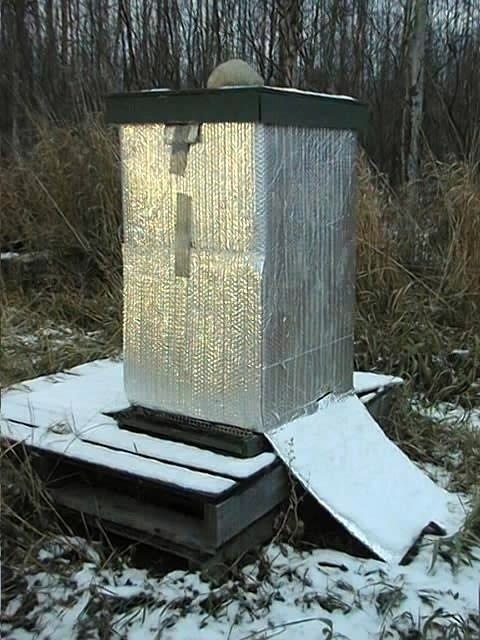 I am currently wrapping my hives here in South-Central Alaska with the material Reflectix as shown above. 1/2 inch of urethane with foil on one side facing down is how the inner cover is insulated. Click here to see more on Reflectix and how a Quebec beekeeper applies it to his colonies. I have had really good results with this wrap which can be used over several years, which holds the cost down over time. It does not over insulate and overheat the colony and stores easily. Click here and see specs on Reflectix from their home page.